The Complete Guide to Playing Blues Guitar – Part One gives you all the tools you need to play, understand and feel blues guitar rhythm guitar. 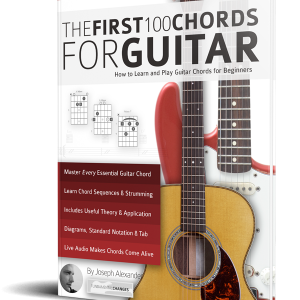 Understanding music isn’t just about reading from books, so The Complete Guide to Playing Blues guitar contains over 150 professionally recorded audio examples which are written in standard notation and tab. 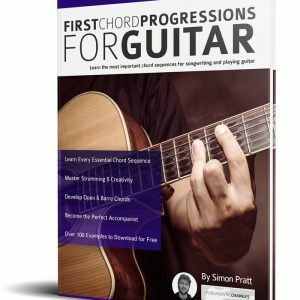 Every aspect of playing great blues guitar is covered, building from first principles such as blues rhythm, riffs, structure and fills, to more advanced techniques such as approach chords, shell chords and ‘drop two’ chord voicings. You will also learn classic turnaround progressions, ‘non-standard’ blues progressions and how to play with the appropriate stylistics. Struggling to Begin or Progress with your Blues Guitar Playing? 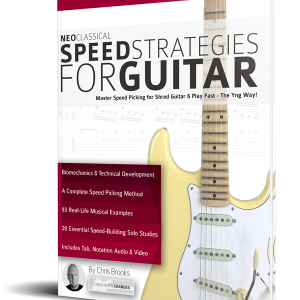 Often, guitarists tend to quickly plateau when learning blues guitar. They get stuck with a limited range of riffs and ideas and quickly get bored and stagnant in their rhythm playing. 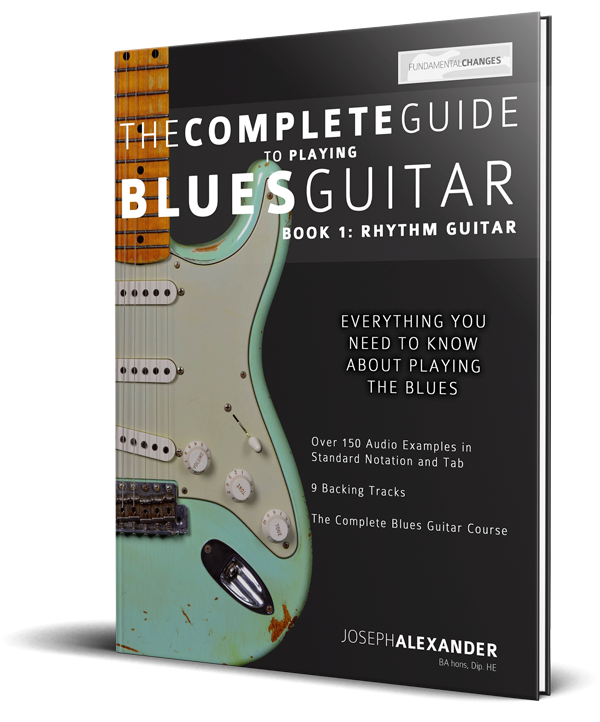 To prevent musical stagnation, The Complete Guide to Playing Blues Guitar teaches each individual element that contributes to playing great, grooving blues riffs. 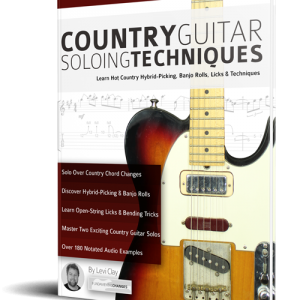 By easily mastering the component pieces, you will quickly find you can write and adlib interesting, creative rhythm guitar parts and fills with ease. The Complete Guide to Playing Blues Guitar has been an Amazon best seller since its release. See the 60+ positive reviews below! 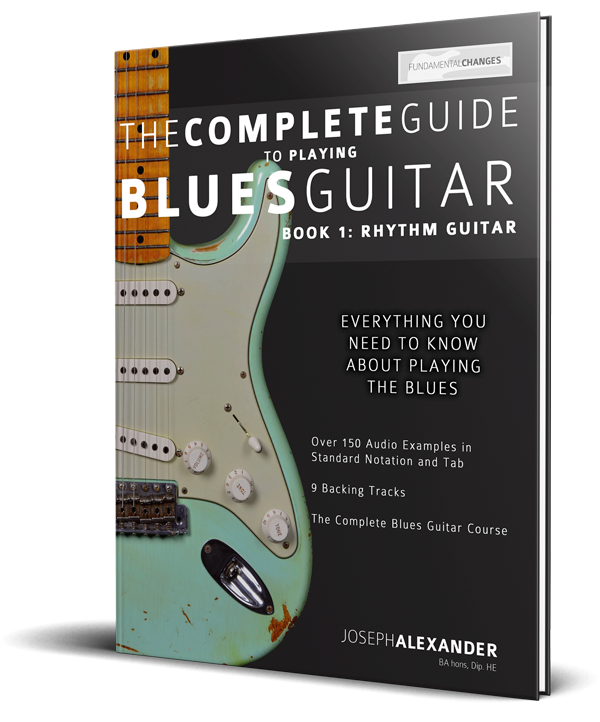 Buy The Complete Guide to Playing Blues Guitar now to begin your journey to rhythmic blues guitar excellence.